Faculty of Physiotherapy, SGT University, Gurgaon organised a health camp at Community Health Centre in Farukh Nagar on the occasion of oncoming World Physiotherapy Day on 8th September. 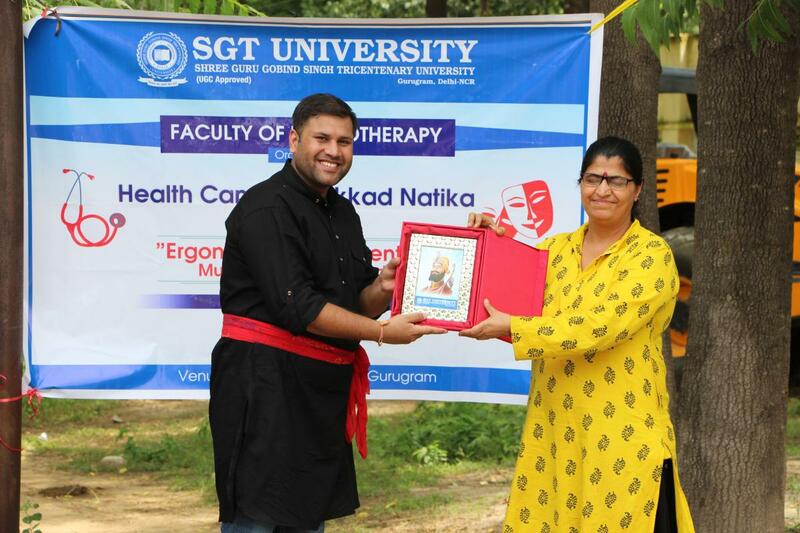 Dr Neeru, CMO of CHC Farukh Nagar inaugurated the camp followed by a Nukkad Natika on “Ergonomic for prevention of Musculo-Skeletal Disorders” by Masters of Physiotherapy students. 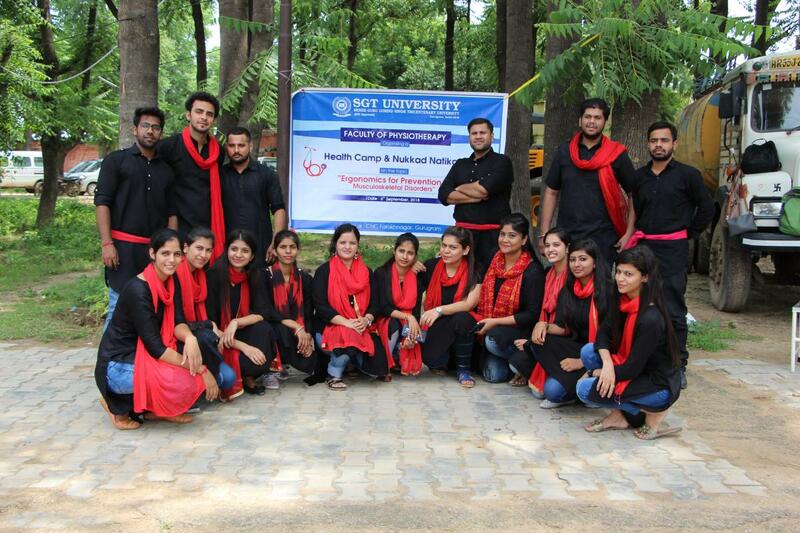 Nukkad Natak focused upon sensitive health issues like sprain management at home; the importance of exercises in relieving neck and back pain; teaching correct method of lifting weights and correct handling of a person in case of road traffic accidents to prevent spinal cord injury. 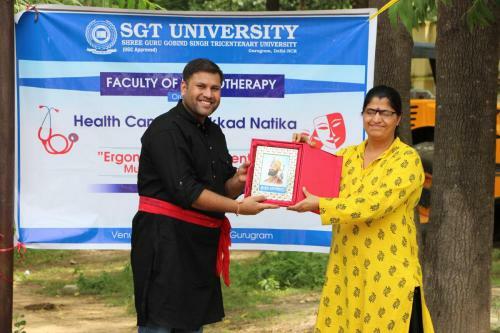 There were Asha workers and villagers who attended the Nukkad Natak and raised concerns regarding various health issues which was sorted out by Dr Mohit Gulati, Physiotherapist from SGT University.